But just think—all of these were brand new at one time. Happy and anxious people made serious monetary sacrifices to pay for these cars. 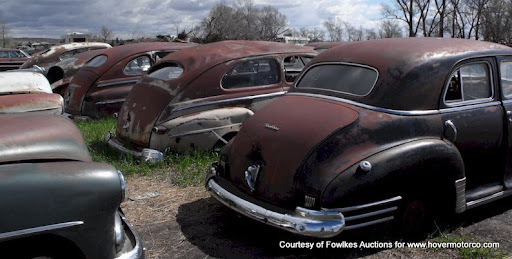 They left dealers’ lots with that new car smell; their chrome and paint gleaming in the sun. They took families on vacation. New born babies were driven home from the hospital. People relied upon these cars to get them to work; then relied on them even more to get them home at the end of the day. Their radios played Elvis and the Beatles at the very time their songs topped the charts. They may have picked up broadcasts of the first man in space. They probably aired reports of Kennedy’s death. The history of America was filtered through their now rotted and dusty speakers. But somewhere along the way, those speakers were silenced. 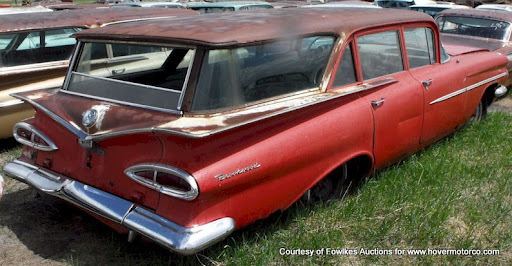 Maybe a mechanical failure caused an owner to sell their once prized possession for scrap. Maybe another just decided it was too old. Maybe someone died, and their car was neglected to the point of no return. 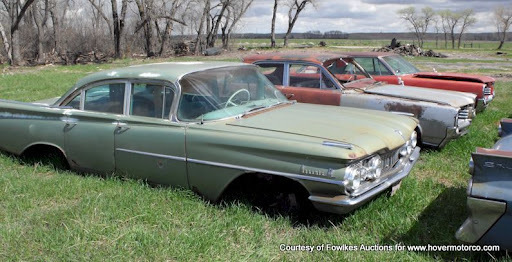 Whatever the reason, these shiny machines that people once relied on so heavily, were driven, dragged, and hauled to this lush, grassy field in the middle of Nebraska, and left to die a slow, deteriorating death. Or that’s the conclusion one would have reached. But fate has a way of changing what once seemed inevitable, and in this case, some of these forgotten machines may get a second chance. 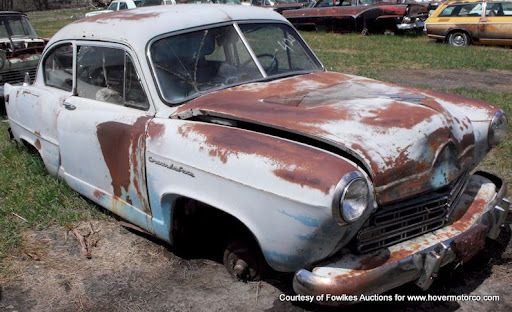 On July 17, Fowlkes Realty and Auction Service will hold an auction to sell each of these cars and trucks to the highest bidders. Once again, these vehicles may generate a little excitement and anticipation among their future new owners. 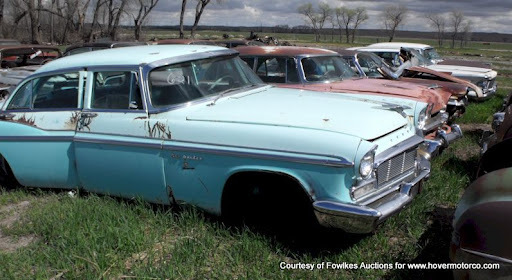 Fowlkes claims that there are 200 vehicles in this field, including 85 Chevrolets, 39 Fords, two International Scouts, and one Henry J. This old salvage business has been right here, 11 miles east of North Platte, Neb., for more than 50 years. But once the last drop of the gavel is heard on July 17, it will be no more. If you are curious on the details, or if you would like to head north for a chance to be a part of history, check out the auction bulletin. If you can’t go, or if you want a sneak peek, we’ve got you covered there, too. Becky Dunlap and auctioneer Dennis Fowlkes were kind enough to provide us with some pictures, which you can see in the slideshow below.